May | 2013 | The Loudest Librarian! Shhh! Do you Know About the Secret Library? I wrote this piece for Pacifica Patch a while ago. Since then the library has added even more online resources. The most exciting new addition is Discover and Go. 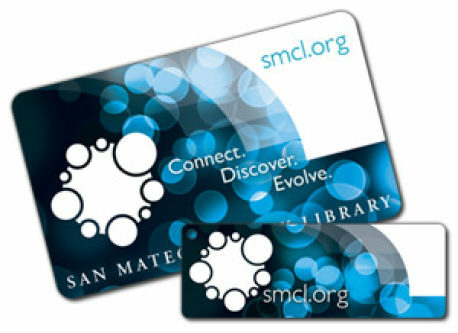 With your SMCL library card, you can print out free passes to local museums, zoos and aquariums. Check it out! Shh! Do You Know About the Secret Library? Okay, so it’s not really a secret. But a lot of people don’t know that your San Mateo County Library card gives you access to a mindboggling assortment of online resources. You can read your favorite magazines and newspapers, download an audiobook onto your iPod, get an ebook for your Kindle, learn a foreign language, fix your car, research your family history, and figure out how to use your new computer software. You can even sit your kids down in front of an animated book (although we’d rather you come to one of our library storytimes). What if your son tells you at 9p.m. that he needs three sources for his report on Thomas Edison that’s due tomorrow? No problem! The Biography Resource Center has 111 books with sections on Edison that you can read and print, with the source citation handily listed at the bottom of the page. (Some teachers don’t allow Internet sources for projects, but these are actual books, just made available in an online format). All of these resources are available on the San Mateo County Library website with your library card. You do have to create a username and password, but once you log in with those, you can get to most of the resources without having to enter your library card number. You can also check your library account, pay any overdue fines you may have, and order books, CDs and movies to be sent to the library closest to you from any library in the county (there is a 75-cent fee for each item, although the fee is waived for kids using their own library cards). General One File: search for and read articles from 5,800 popular magazines. Safari Tech: Search for information and read from a large collection of computer and tech ebooks. Many of the standard books on programming and different types of software are here in full text. Mango Languages: Use this software to learn Spanish, German, Japanese, Mandarin Chinese and more. Heritage Quest: Research your family history using census records and other resources. (The library also provides access to Ancestry.com, but only from computers within the County branches). Chilton Library: find manuals and instructions to help you perform car repairs. Bookfile and Tumblebooks: Your child can watch and listen to hundreds of animated picture books from popular authors. Tumblebooks is also available in Spanish. This is just a small preview of some of the major resources. There are also a vast number of databases to help students with homework, including History and Science Resource Centers, and World Book Encyclopedia. Also, check out HelpNow. You can chat live with an expert tutor for homework help in English & Spanish, seven days a week from 1p.m. to 10p.m. Kindergarteners through adult material is covered. Questions? Write them in the comments below, or click here to email a librarian. Enjoy! Our electronic resources are always being updated and added to, so check back often for the latest changes. 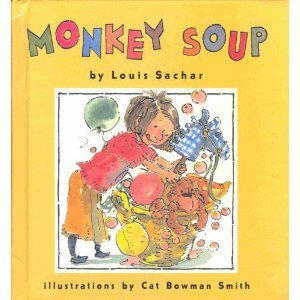 An old favorite by one of my favorite children’s authors (and a Newbery winner for Holes), this is a simple story about a little girl who wants to make soup for her Daddy, who is sick. She puts into it all the things that make her feel better: Band-Aids, bubbles, buttons, tissues, and her toy monkey. At least two kids wanted to check this one out when I was done. I wasn’t actually planning to read this one, but one of the kids requested it, and it did have an apple tree in it. 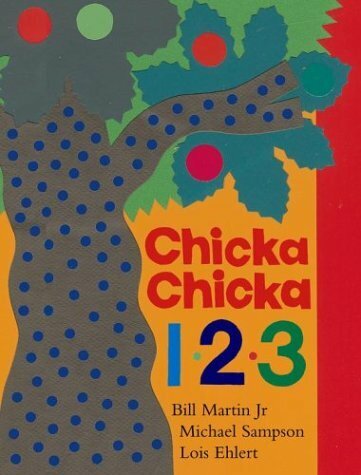 Very similar to Chicka Chicka Boom Boom, except with numbers up to 100. The kids liked the quirky illustrations: number 5 with its big top hat, and 70’s long, sandy hair (which got some chuckles from the parents). 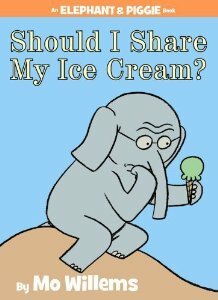 I throw a Gerald and Piggie book in whenever I can, and kids love this one where Gerald faces a major ethical dilemma. 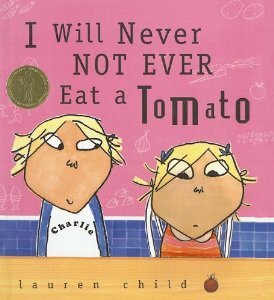 The original Charlie and Lola book, and my favorite. Charlie convinces his picky little sister to eat orange twiglets from Jupiter (carrots), greendrops from Greenland, and cloud fluff from the pointiest peak of Mount Fuji (mashed potatoes). INSTRUMENT PLAY: On the Good Ship Lollipop performed by the Persuasions, who really liven it up. From the 20 Great Kids Songs CD, which is one of my very favorite children’s albums. It has a wonderful version of This Land is Your Land featuring Willie Nelson, along with Tom McCutcheon’s version of Big Rock Candy Mountain, and many more. Tonight we made marshmallow snowmen, with some Jumbo marshmallows I found at Safeway (they would work just as well with regular marshmallows). 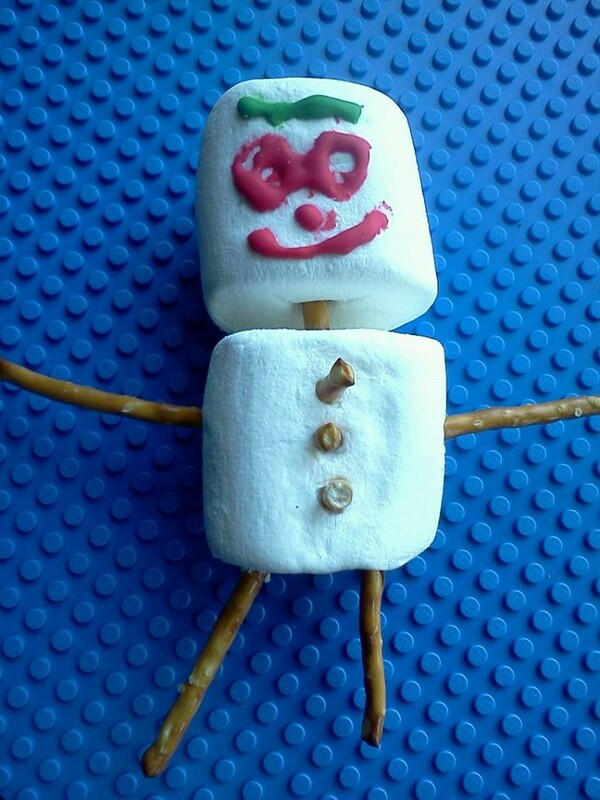 We stuck the head and body together with pretzel sticks, which also served as arms, legs, hair, and even buttons (one of the moms came up with that one). I had small tubes of icing for the face (I tried to find food coloring pens, which would have been easier). They were fun, quick, and not nearly as messy as you might think, although I’m afraid most of the snowmen were devoured before they left the library. I loved the idea of the dark as a living thing that hovers in closets and corners during the day and comes out at night. I haven’t quite figured out what age group to share it with yet, but I enjoyed it for myself. A book that works on multiple levels: as a teaching tool for punctuation and a wonderful story about finding your unique talents. Exclamation Mark is dismayed that, no matter how hard he tries, he always stands out among the periods. But then he meets a very curious new character who show him how to make his mark. One of my favorites as a child, I was thrilled to find the single copy we have in the library system. When a little girl named Peggy buys a real gold ring made of genuine plastic and rubs it, a tiny genie appears and grants her a single wish: everything she touches will turn into something sweet.